A great addition to any workout, the GetFit™ 3 pound walking weights work well for a wide range of upper-body cardio workouts. 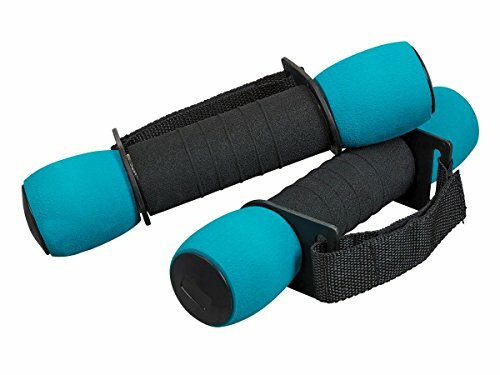 The easy grip design is soft, yet durable, and the built-in hand straps keep the weights in place for those long morning runs or short afternoon walks. Comfortable: The soft, padded, foam-covered dumbbell and handle ensure reliable comfort over prolonged workouts. Easy Grip: The built-in strap is sturdy and is adjustable to fit over a wide range of hand sizes. Enhanced Cardio Workout: The added weight of the dumbbell increases the effectiveness of your cardio workout and helps you get the most out of everyday exercises, such as walking and jogging. Use the Weight to Lose the Weight: Burn off extra calories by adding a little more resistance to the natural movements of your walking or running motion. Buy with Confidence: Monoprice not only stands behind every product we sell with a 1 year replacement warranty, we offer a 30-day money back guarantee as well! If the product you purchase does not satisfy your needs, send it back for a full refund.